Just had to share this awesome newly released movie poster for the upcoming ‘Krampus’ due out this Christmas from Michael Dougherty! 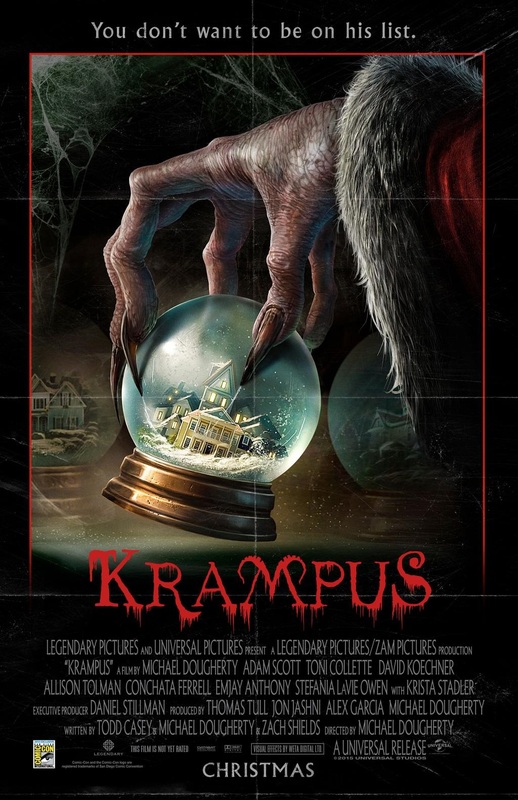 I’ve been waiting for years for some one to really step up to the plate to deliver some serious X-mas horror and it really baffles me how it’s taken this long to get a real Krampus Christmas movie! What excited me even more is that Dougherty is directing this one and if you’ve seen his awesome “Trick R’ Treat” Halloween horror flick you’ll understand why. So here we have this totally rad retro throwback movie poster, with real artwork (which is a nice touch these days) and fold lines- this gets me even MORE excited for this movie! !